In the magazine Bert Weckhuysen explains how the consortium arise, what the initial focus of the program was and how the projects got refined and changed throughout the years. As scientific director and main initiator of this programme, Bert Weckhuysen was asked which aspect of the programme’s legacy he is most proud of. 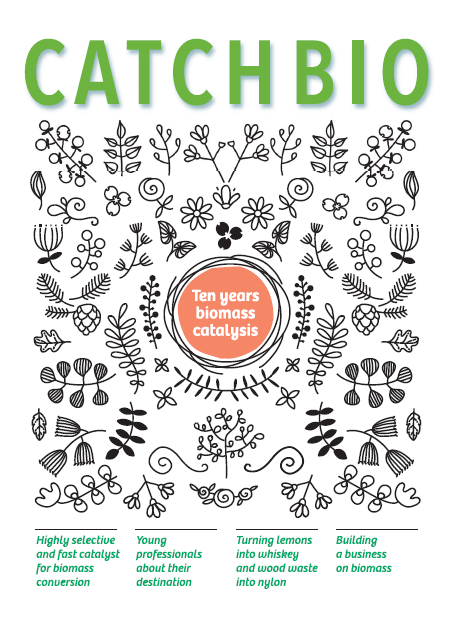 He states: “CatchBio has been a success due to and because of the brilliant people involved”. Finally, with support from Utrecht University, the CatchBio program made it possible to appoint Pieter Bruijnincx as a tenure track assistant professor. Pieter Bruijnincx is currently Associate Professor Catalysis for Renewables at Utrecht University and obtained a VIDI research grant from the Netherlands Organization for Scientific Research.